Some illnesses, e.g. OCD and schizophrenia, corrupt the activity mediated by one's basic psychological framework but do not corrupt that framework itself. But some illnesses, e.g. psychopathy, corrupt that framework itself. Thus, whereas OCD and schizophrenia are structure-internal mental illnesses, psychopathy is a structural mental illness. 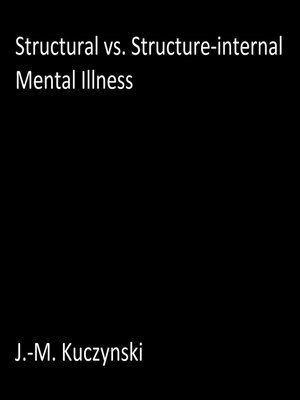 Structure-internal mental illnesses can be alleviated, but structural mental illnesses cannot.